We will start with the image quality of these products. 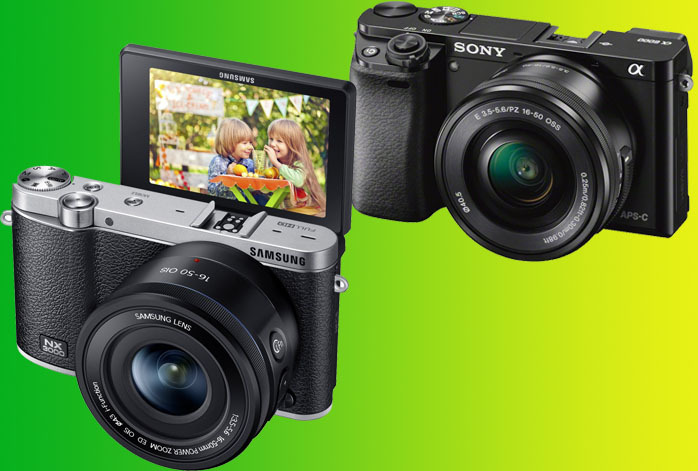 Sony a6000 comes with a 24 MP APS-C CMOS sensor, while Samsung NX3000 is only powered by a 20 MP CMOS sensor. Well, Samsung NX3000’s pixel area is slightly larger than Sonya a6000’s, so theoretically it could have better colors and dynamic range, but the difference is not too big, and this is further justified by Sony a6000’s other advantages. Besides coming with significantly more pixels, Sony a6000 also comes with 179 total focus points. The autofocus system is also very smart and reliable for tracking still and moving objects, ensuring that you get the utmost details in your images. Samsung NX3000 only has 35 focus points. And Sony a6000 comes with a maximum ISO of 51,200 as opposed to Samsung NX3000 that only comes with a maximum ISO of 25,600. Sony a6000 can easily generate sharper and more detailed images than Samsung NX3000. Sony a6000 also introduces more reliable speed and performance than Samsung NX3000. You can see this by comparing the continuous shooting speed, the shutter lag time, and the buffer capacity. Sony a6000 is certainly viable for sports photography with an 11 fps photo burst. It also has a reliable buffer capacity that is able to take up to 47 JPEG shots or 22 RAW shots before taking a break. Meanwhile, Samsung NX3000 only has a 5 fps photo burst with a buffer capacity of 12 JPEG shots or 4 RAW shots. Besides, Sony a6000 has a smaller shutter lag time than Samsung NX3000, allowing you to take another pic much sooner so that you don’t miss the moment. Good thing that both models have built-in Wi-Fi. However, only Sony a6000 that has built-in viewfinder and flash. In addition, Sony a6000’s AE Bracketing feature supports up to plus-minus 5EV range, as opposed to Samsung NX3000’s plus-minus 3EV range. So, Sony a6000 holds a lot of advantages over Samsung NX3000 that should not be missed. These advantages will affect the output quality as well as the versatility of the camera. You should stick with Sony a6000.